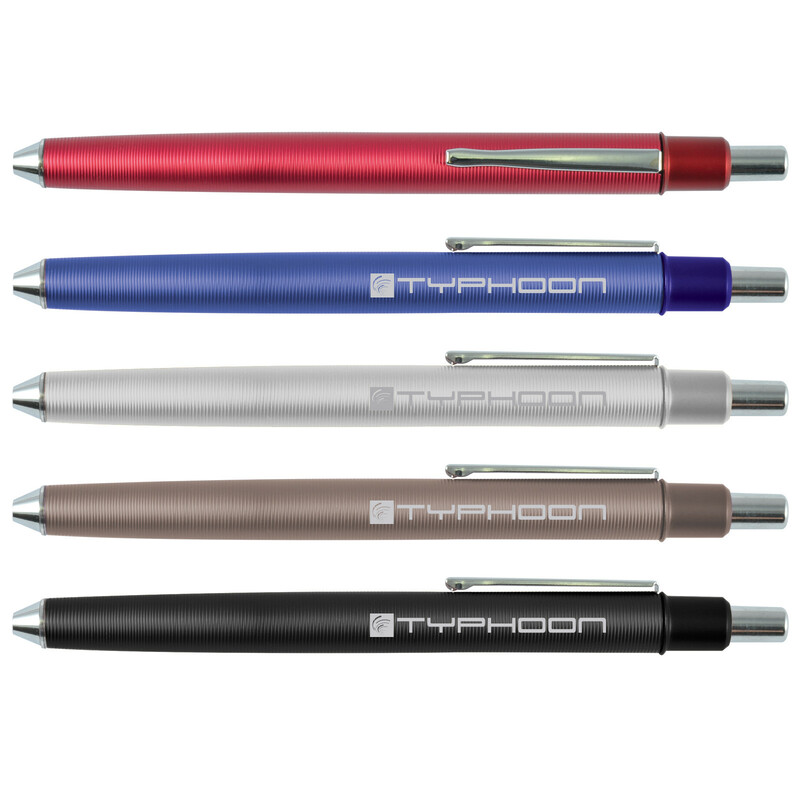 Grooved aluminum barrel push button ballpoint pen with chrome accents. Classic styled pen with coloured anodised finish. Optional black suede velvet pouch or 2 piece pen box with clear lid at additional cost.